Likes: Dual Layout 60 x 5 1/2 x 40 Pin Up, Great Ball down to the Statement Solid. When the Statement Solid looses it's sting. The Statement Pearl will get through the fronts and give you the back end when your playing deeper angles. Hammer does it again for providing great equipment for our open, league, and professional style players. Dislikes: On a Typical House shot, you would need to adjust the cover with higher surface and polish. The ball will be great for Rev/Speed dominate players. The Statement Pearl is great compliment to the Statement Solid and the Rip'd Pearl. This ball will pick up the mid lane a few feet earlier than the Rip'd Pearl. For me, I do not get a quick response at the break point compared to the Rip'd Pearl, but was very happy when I needed something cleaner through the heads when my Statement Solid was burning up early. Likes: I drilled my statements to compliment my Rip'd balls. The Statement Pearl is amazing - Plain and Simple!! It does not overjump downlane even though it is more of a bottom heavy core, but when it hits the pins - I am throwing TONS of pins from side to side. 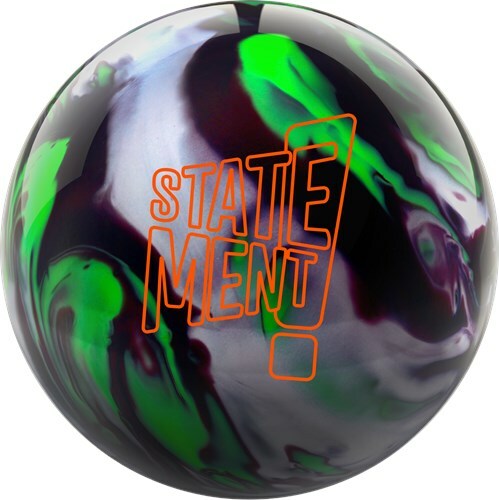 This ball is a must have in your bag - YOU BETTER MAKE A STATEMENT!!!!!!! Lane Side Reviews is back and making a #STATEMENT with Hammer's new #StatementPearl in the latest episode! Page created in 0.709 seconds with 23 queries.